Harmony Audio offers high quality wire kits that include everything you need to install a sub into a box available in both a single and dual sub version. 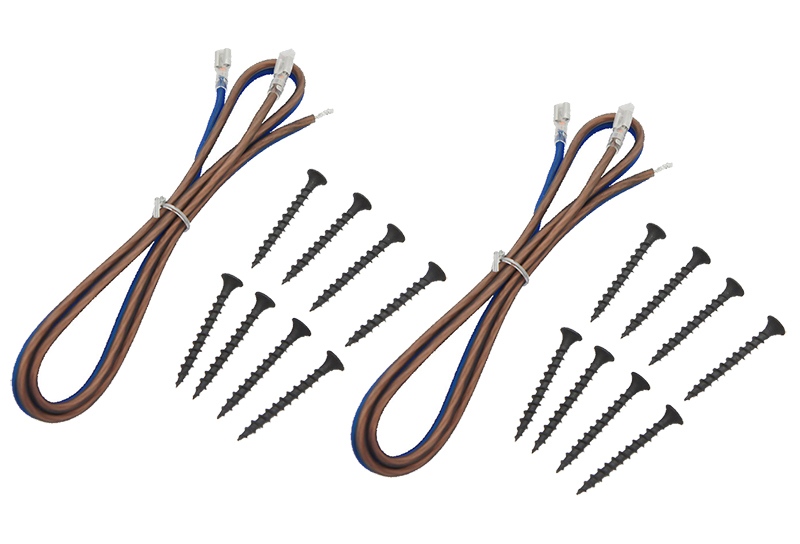 Each kit includes 24" of high quality speaker with 0.205" female positive and negative spade terminals on one end and stripped soldered ends on the opposite side. Coarse wood screws are also included that are 1 5/8" in length with Phillips head.